Has 14 recipes, 9 public recipes. Has 302 flavors in inventory. Collectron supports All The Flavors. Upgrade yourself. 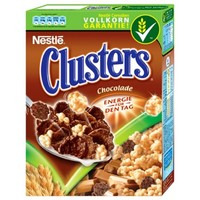 Chocolate Clusters where my favorite breakfast cereal, but since I am still going strong on my new year's resolution of no sugar in 2019 I tried my best to make a juice that tastes like them. Needs some steep to get extra yummy, so please be patient. Bavarian Cream TPA + Milk FA + Meringue FA + Irish Cream FA create thick creamy milk, with very slight cocoa/chocolate notes, just like the milk that cocoa cereal have just been dumped on. Breakfast Cereals FA + Cocoa Rounds TPA + Peanut Butter Cup FW gets you cereal that are coated on both cocoa and chocolate! Hazelnut FW tastes exactly like the white nut clusters that this brand of cereal uses. Don't skip the Super Sweet, you can even get it higher if you have a sweet tooth! 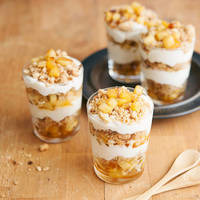 Apple crumble! The apple is not subtle, the cinnamon is not overwhelming, and the crumbly graham is on point :) Hope you enjoy it! Apple Fuji FA + Pair of Pears INW make a nice melty apple, Two Apples INW is added as a fruity apple sweetener. 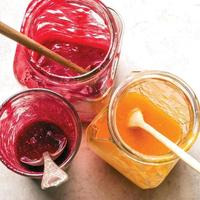 Two Apples INW can work on many fruit mixes as a sweetener, if you keep below 0.5 the apple taste won't be overwhelming (give it a go in pineapple mixes!). The apple in this recipe is not "baked", but sweet and melty. Cheesecake (GC) TPA + Biscuit Base VTA + Graham Cracker FW create a crumbly, slightly buttery graham cracker base. Bavarian Cream TPA + Vanilla Bean Gelato TPA are added for mouthfeel, fluffiness, and to blend everything together. Cinnamon Ceylon FA is a bakery cinnamon, not spicy at low percentages. Can be omitted if you don't want the cinnamon in here. I wouldn't replace it with a hot and spicy cinnamon in this mix. Let it steep a bit, the crackers used here need some time to develop the full flavor and mouthfeel. IMPORTANT NOTICE: Raspberry INW is Raspberry 'Malina' Inawera, not Raspberry Wera Garden! Biscuit INW, Cheesecake (Graham Crust) TPA, Cookie FA and Butter FA create a buttery and crumbly tart base. A little Almond FA is added to round the crunchiness of Cookie FA. 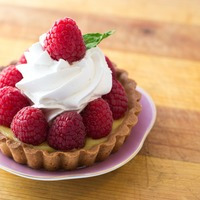 Raspberry (Sweet) TPA is the main raspberry here, with a touch of Berryl FA and Raspberry (Malina) INW added to make it a little more realistic, tart and sweet. Custard FA is one of the best creams to add in most fruity vapes, because the lemony notes blend great with sour/tart fruits. Custard Premium FA is added to enhance the buttery feel a little more, and Mississipi INW because it's a great bridge between raspberries and biscuits/cookies. The Super Sweet here is kinda needed, don't omit it if possible. Needs some days of steep, for the butter to calm down. 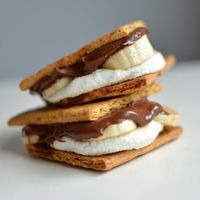 This is my take on a s'more with added banana! Well baked biscuit, fluffy and light vanilla marshmallow along with milk chocolate and banana! A simple Am4a recipe. Decided to boost the rum and cocoa notes of Am4a, and added Dark Vapure to give this a nice darker body. It can use a good steep, but it is very enjoyable as a shake and vape. INW Eggnog yc is not needed, the recipe works without it, but it helps blending the body and the top notes. 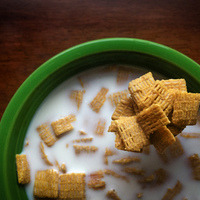 Crunchy cereal, on top of a heavy and milky cream! 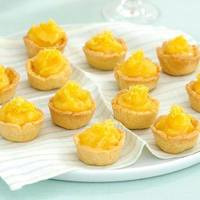 Playful lemon custard/curd on top of a thin cookie layer, very flavorful with great mouth feel. Really nice caramel, vanilla and cream tobacco. If you have the concentrates, just mix it, it's a no brainer. 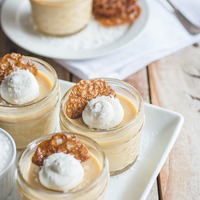 If you like banana custards, mix it, it's one of the best out there. Great job, the only regret I have is buying only 10 ml of VTA Banana Custard. Really tasty, with just the right amount of pineapple for a milkshake. Great off the shake, but after 3-4 days it gives the flavor profile spot on! Recommended by me!